Your role in one sentence: I advocate for policy change to improve the opportunities of students of color in higher education. I put on my cape everyday to save the world! When I am not at work helping students get to and succeed in college I am…at the Three Broomsticks with my research team. If not higher education then what cause? International human rights. Leticia Tomas Bustillos, Ph.D. is a first-generation college student and only daughter of immigrants from Mexico. Recognizing that not all students have equitable access to education, she has devoted her professional career to eliminating barriers and improving opportunities for underserved and underrepresented populations. Leticia has two decades of experience working across the P-20 education pipeline, both inside and outside the formal system of education. Leticia’s experience in education began in the Montebello Unified School District where she was a teacher, technology coordinator and reading specialist between 1997 and 2004. Upon receiving her Ph.D. in education policy, she taught preservice teachers and postsecondary administrators as an assistant professor at Loyola Marymount University, and adjunct professor at Whittier College and the University of Southern California. Between 2009-2012, Leticia served as Associate Director of the Los Angeles County Education Foundation (LACEF), a policy and advocacy organization committed to providing life-changing opportunities to the children and youth of Los Angeles County through education. In this capacity, she managed a number of grant-funded projects and initiatives addressing issues in STEM, preschool accessibility, juvenile justice and health. Leticia was the Associate Director of the Education Policy Project at the National Council of La Raza (NCLR) between 2013-2016, the largest national Hispanic civil rights and advocacy organization in the United States. As Associate Director, she set the strategic direction for NCLR’s education policy work at the federal and state levels on issues important for Latino students in K–12 and higher education policy, college/career readiness, and education reform. She led a nationwide campaign in support of the Common Core State Standards (CCSS) to mobilize opposition to proposed policy measures that would weaken or undermine the CCSS and contributed to a national strategy for the adoption of civil rights principals in the reauthorization of the Elementary and Secondary Education Act (ESEA). As co-director of the Policy Research on Preparation, Access and Remedial Education (PRePARE) Project at the University of Massachusetts Boston, Leticia conducted research that examined developmental education policies and practices on a national scale. As an integral partner of the Getting Past Go Initiative with the Education Commission of the States, the project analyzed policies and data on developmental education to provide a more comprehensive picture of state and system approaches to remedial and developmental studies. Leticia consulted on the MSI-Models of Success Initiative, a three-year initiative led by the Institute for Higher Education Policy (IHEP) to elevate the presence and relevance of MSIs as an important and unique sector within higher education as well as with the Southern Education Foundation’s (SEF) MSI Consortium for Innovation and Change, an initiative designed to highlight and support state-of-the-art initiatives that promise to improve institutional practice and outcomes for students at MSIs. 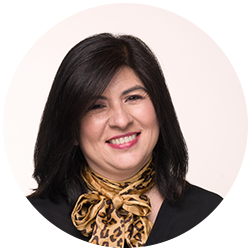 Leticia is the author of articles, book chapters and blog entries and is a co-author of The State of Developmental Education: Higher Education Public Policy Priorities. Leticia is a graduate of Columbia University (A.B., 1994), Whittier College (M.A., 2000) and the University of Southern California (Ph.D., 2007). She lives in Washington D.C. with her husband John Ross, and her daughter Isabella Jolie.